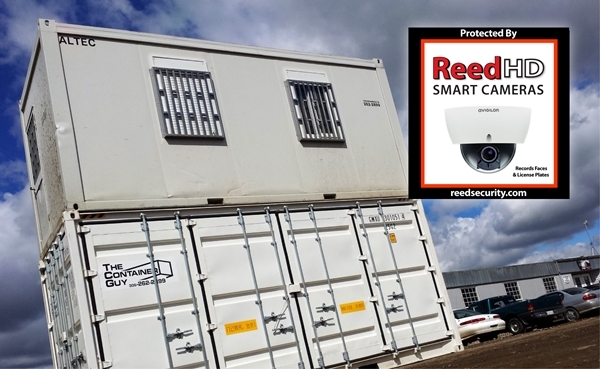 The Container Guy recently partnered with Reed Security to protect their storage compound located at 404 Cory Road, Saskatoon, SK. The Container Guy sells, rents, modifies and delivers all sizes of storage containers. 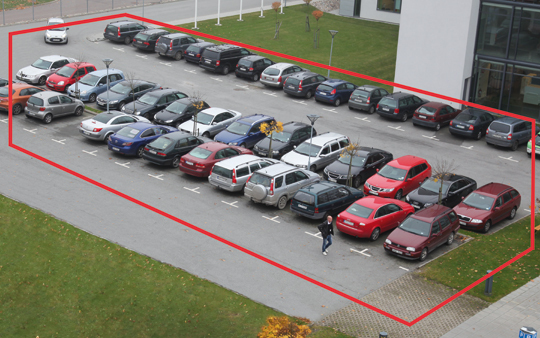 ReedHD Hi-Def Smart Cameras record 24/7 and use a Cross Line Detection application to detect moving objects that cross a virtual line, making it possible to automatically trigger an event. Email notification to your Smartphone. You can login and See the event. Email notification to Reed Security's 24/7 Monitoring Stations. We can log in a See the event (and dispatch the Police). Trigger a loud siren and flashing strobe light. Create attention and make unwanted visitors leave.